I was reading this great quote on Twitter recently @Primary_ed posted and it got me thinking about the expectations we have in schools about the academic standards we set for our students. How much do we expect of our students? How far do we extend the students in our care? Do we set high enough standards? 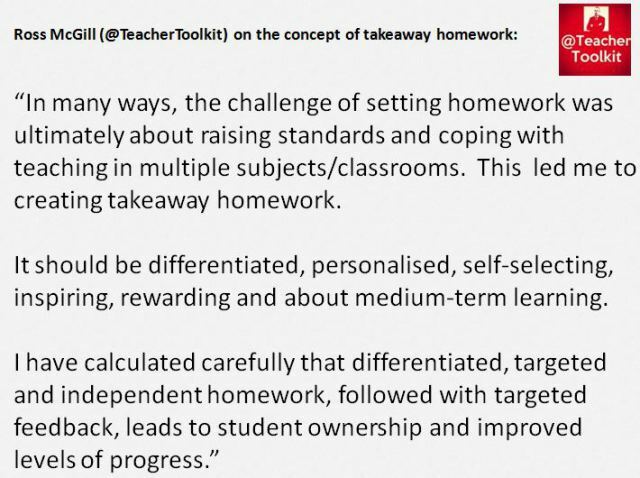 What are the base line indicators for the work that we accept in the form of homework, assignments and in class? How do we know when the work presented is acceptable? Teachers who have been teaching long enough know the answers to most of these questions but I doubt if they would all have the same responses. One of the common denominators on this topic is the fact that learning requires effort and that nothing worthwhile comes easy – this is the ‘No Progress Without Struggle’ part of the equation. Students who are successful at school work hard at it; some might be smart but there is a lot of time and perspiration put into it as well and I’m starting to think we need to be very clear with the high expectations we set for our students in our schools. 1. 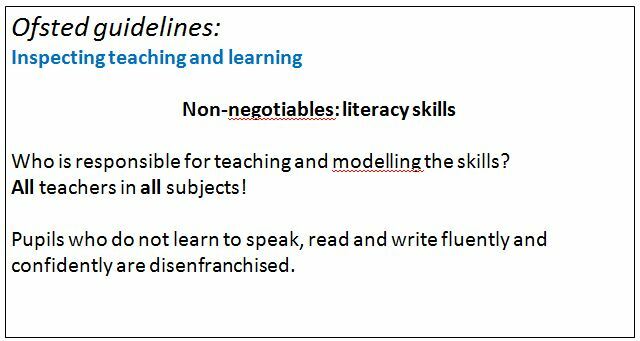 All teachers set HIGH and very clear expectations about the standard of work to be submitted. When work is not of sufficiently high standard students need to be told, the feedback part,and given the chance to resubmit or not progress to the next level of proficiency. 2. Strong pattern of study and home learning schedule is crucial. Patterns need to be established especially in the early too middle years of schooling so students are giving time too learning outside of school hours. Just like music practice or swimming or tennis training commitment to preparation and building a solid skill set is crucial for student success. 3. Build Strong Parent Partnerships. Parents are crucial to ensuring their children succeed. Parents provide the support at home that students need especially as the academic and time demands increase in high school. Parents can also support their children as they provide the role models their child needs in their struggle with learning. Do they regularly see their parents read at home? Have their parents studied or are currently studying? Do they see their parents needing to make sacrifices to get work done at home? 4. Present real world examples to current students of those who have gone before them and are succeeding in their chosen fields whatever they may be. Present Old Boy or Old Girls at Academic or Cultural Assemblies and let students hear them talk about what it took for them to achieve their dreams. The more authentic the better!! You need to build a culture of excellence if you want a GREAT school. Great schools are all about excellence and excelling everyday in every way. Students need to hear and see this as they walk the grounds of their school. Teachers also need to believe they are also working in a great school. Teachers are crucial and also a big part of the solution in this equation! The 15 Minute Forum was led by English teacher and whole school Literacy Leader, Lucy Darling. 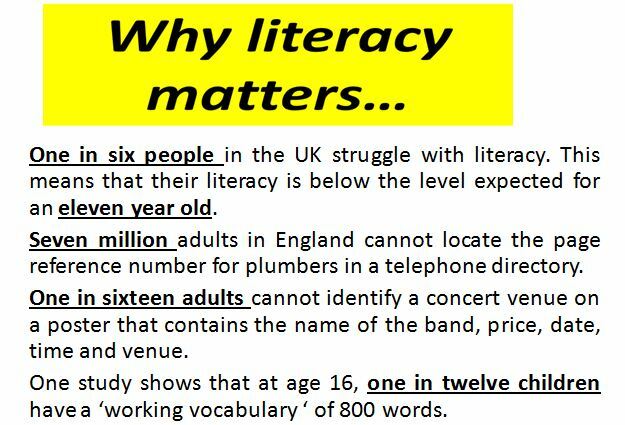 Lucy started the session by stressing that literacy is not an add on to our teaching, nor is it just the responsibility of English teachers. 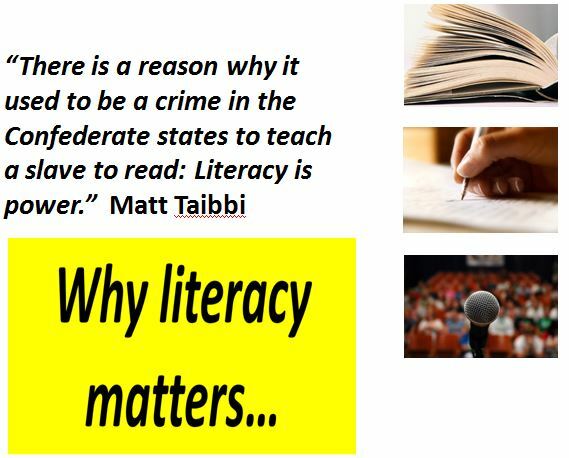 We are all teachers of literacy – in terms of supporting students with reading, writing and speaking & listening, within the context of our own subject. So, it’s an important issue for all of us to consider. An issue which is of course amplified, when we consider students that come from a disadvantaged background. 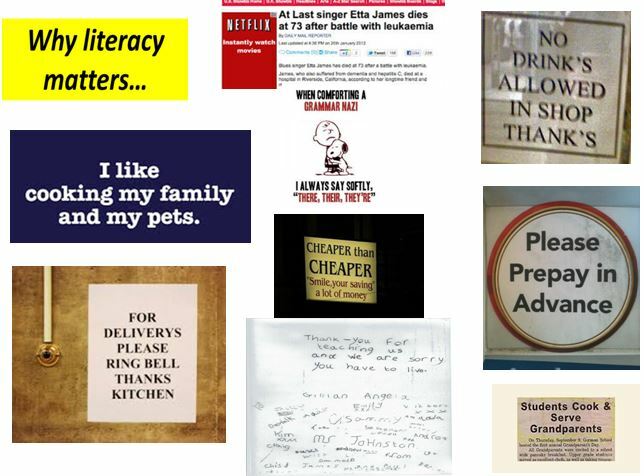 If they are not supported at home to develop their literacy skills, for example by not being given access to books, they will struggle to articulate their ideas, get frustrated and switch off – and so become disenfranchised. 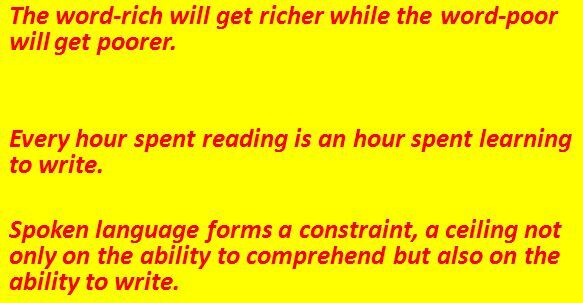 Homework – to be or not to be?? Good read. Food for thought here. Wow what a read! Some issues here in American education! Thanks Larry be interested to hear if you keep an eye on Australian education developments and have any thoughts on our system progress. This post will not be filled with statistics about the worst gap ever–yes, ever–in income between rich and poor in the United States or how badly the U.S fares among developed nations in the world on inequality measures. This post will not rail at the moral unfairness or growth of mistrust among Americans as a result of such economic, social, and political disparities. Now will this post recommend ways for reducing the growth of a two-tiered society. What this post will do is look at effects of inequality and how they are pervasive, taken-for-granted, and even encouraged in everyday transactions. Into planning mode for another school year. Reflect – evaluate – reflect – plan – reflect – develop action plan!! Like many schools we are constantly engaged with whole school planning and improvement focus on improving student learning. 1. Developing the MISSION of our school. We are a Catholic school so this has a particular religious dimension for our organisation that places Jesus, the Gospels and how the message of the Church is expressed to the young people who enter our classrooms each day. 2. LIBERATE – this has been our slowly evolving, constantly developing model of pedagogy for our school over the past few years. LIBERATE represents how we teach to our students. It involves research, competency based progression, both direct and independent learning, whilst also encompasssing collaborative and project based cross curriculum components. 3. WELLBEING – this represents placing the student at the centre of everything we do and restructuring our school to accommodate new models and ways of operating where WELLBEING is connected to LEARNING and LIBERATE, our expression or model of learning at our school is also a model of student WELLBEING. Very exciting but also very challenging as our whole school community grapples with new ways of being in 2015 and beyond. 4. RESOURCING – a vital but often overlooked part of any school plan. Without resourcing it and planning to resourcing it the Plan will struggle to be implemented. This also involves another section of the non-teaching side of the school that exists to support the MISSION, LIBERATE and WELLBEING goals coming to fruition. It’s been a busy, demanding, taxing year, but also a very exciting one grappling with the educational changes facing all schools and teachers everywhere in the world to maintain relevance for their students. Teach Like a Champion: Part 1 – Introducing TLaC.